July 2013: Suri leaving LAX! Suri Cruise spotted departing from LAX airport on July 21st 2013. Suri is wearing Hello Kitty flip flops. 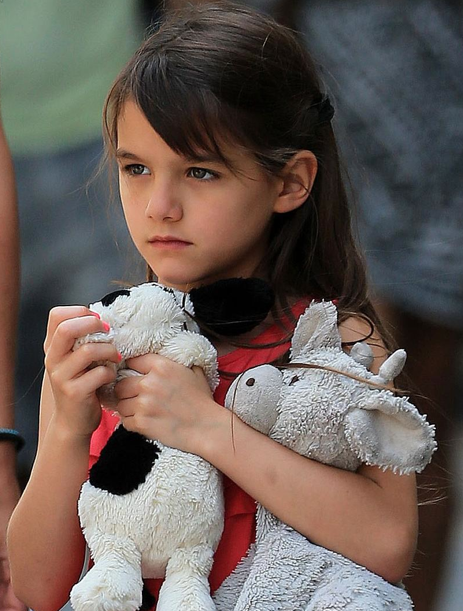 July 2013: Suri out in NYC! 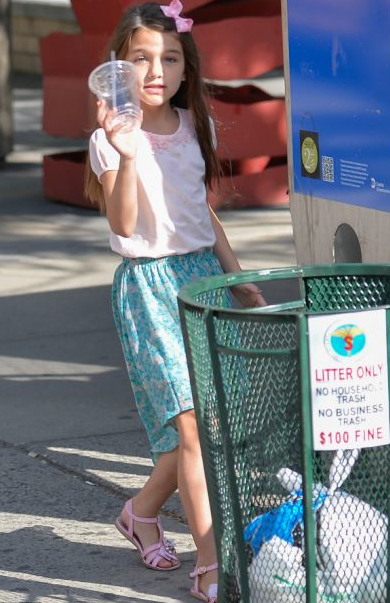 Suri Cruise spotted out & about in NYC on July 14th 2013. Suri was wearing Sparkling Jewel Pink Sandals SS'13 by Mi Mi Sol, (first worn on May 27th 2013). July 2013: Suri on her way to Chelsea Piers! Suri Cruise was in good spirits on her way to gymnastics class at Chelsea Piers in NYC on July 12th 2013. July 2013: Suri goes to Chelsea Piers! Suri Cruise goes to Chelsea Piers in NYC on July 11th 2013.
outfit info: zara top, skirt by little ella. July 2013: Suri's beach vacation! 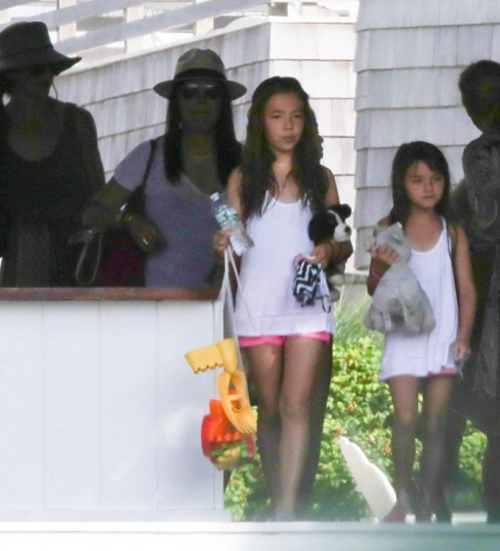 Suri Cruise continued her beach vacation now with Yang girls on the Hamptons Beach on July 7th 2013. Suri was wearing matching outfit with one of the the Yang girls: white oversized tank and pink shorts. July 2013: Suri celebrating FOJ on the beach! Suri Cruise celebrated Independence Day with friends at the Hamptons Beach, NY on July 5th 2013. Suri was wearing Apple Farmers Market Tankini Swimsuit SS'13 by Splendid Littles. 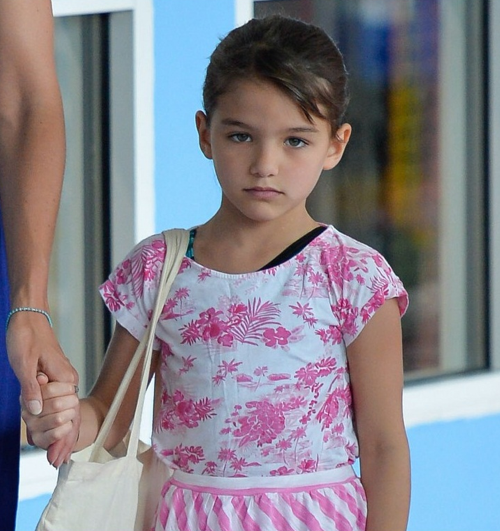 July 2013: Suri at JFK airport! Suri Cruise pictured arriving at the JFK airport after returning from trip to Ohio on July 2nd 2013. Suri was wearing Twinkle Toes Shoes by Skechers. 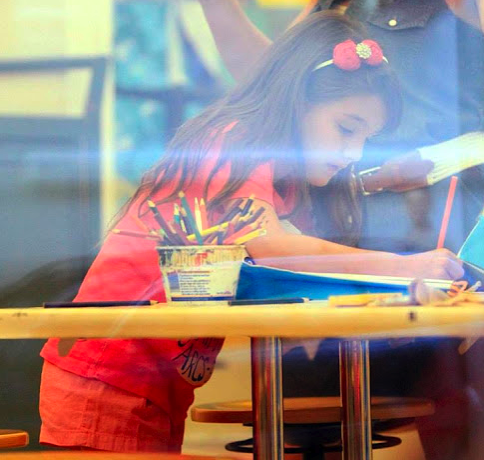 June 2013: Suri at Children's Museum of Arts! later, Suri attended gymnastics class with a friend at Chelsea Piers. June 2013: Suri & Friend in West Village! Suri Cruise and a friend spotted leaving Cowgirl Restaurant in West Village in NYC on June 23rd 2013. Suri was wearing Jersey Pintuck Dress in Coral SS'13 by Crewcuts and Pink Barbie Crocs.